Here’s a neat add-on to a kitchen bucket – the bucket board! You can cut vegetables right on the board and conveniently scoop the bits you don’t eat into the bucket. This would work well with a five gallon compost caddy, or even directly into a five gallon worm farm. 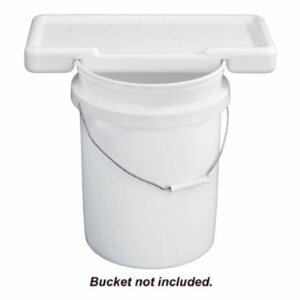 See more details on the five gallon bucket board.